Last week, I shared with you the horrifying conditions of the abortion mill operated by Kermit Gosnell (pictured here). As his trial continues, more appalling details regarding his practice are being revealed. My last letter was tough to read, but I think its important for you and I to be aware of these gruesome facts so we can educate others and make sure the deaths of these innocent babies wont be in vain. Showing America the truth about abortion and changing hearts will bring good out of the ashes. Gosnell currently faces a total of 43 criminal counts, including eight murder charges for allegedly severing the spines at least of seven babies, plus an additional count in the death of a 41-year-old woman who was an abortion patient. Evidence shows that women were subjected to ghastly back-alley conditions within the walls of this place dubbed the House of Horrors by the FBI. First, this squalid abortion mill was permitted to operate for decades without an inspection. Despite numerous complaints, the facility went uninspected from the early 1990s until 2010. Pennsylvania Department of Health employee, Elinor Barsony, witnessed the atrocious conditions firsthand. She observed women who had been heavily medicated and then left unsupervised for hours. She also discovered unsanitary, filthy equipment, noting that tubing of the abortion machines was corroded. Bags of infants body parts were found. The feet of aborted babies were kept on a shelf in jars as macabre trophies in the office of the notorious abortionist. In addition, an emergency exit was found to be padlocked and blocked by broken medical equipment. This is thought to have contributed to an abortion patients death, as paramedics couldnt find a way to get her out of the facility safely and quickly. This raises questions about what kind of staff would choose to work under such unspeakable conditions. Its been reported that they were severely unqualified. None of the supposed doctors had medical licenses. One anesthesiologist had dropped out of school in the sixth grade. Even worse, one worker allowed her 15-year-old daughter to assist in surgery and recovery. (That girls mother has been charged with multiple counts including corruption of a minor.) There were no nurses on staff, even though its required by law. Its also alleged that the facility blatantly ignored the states required 24-hour waiting period for abortion procedures. Gosnells treatment of the staff has been described as abusive. They received pay as low as $8 to $10 an hour but were offered an incentive to make more money if they participated in late-term abortions performed on Saturdays. Gosnell would give the staff an additional $20 per patient. Many illegal third-trimester procedures were performed by Gosnell on Sundays when the clinic was supposedly closed. His wife, Pearl Gosnell, would assist despite the fact that she had no medical training. Its also alleged that Gosnell varied the level of pain medication based upon a womans ability to pay. If a patient could afford it, they were drugged into a stupor with dangerously high doses. Those who couldnt were forced to endure brutal surgical abortions without sufficient medication for pain. Some have rightly called it torture. Perhaps one of the gravest atrocities to have come out of the trial thus far is that Gosnells defense team blames 41-year-old patient, Karnamaya Mongar, for her own death. Its alleged that she was given excessive amounts of the drug, Demerol, which caused her to fall into a coma and ultimately stop breathing. A physician providing expert testimony said this drug has fallen out of favor with most doctors because of the associated complications. Defense attorney, Jack McMahon, claims that the victim is at fault for her own death because her medical history form was incomplete. A heart and lung disorder was discovered during her autopsy and its highly improbable that she was even aware of the condition. As an immigrant who spoke little English, she most likely didnt even understand the forms. And that leaves Gosnell negligent for conducting the abortion without being able to adequately communicate with her and with utter disregard for her health. On a positive note, this investigation has forced two other abortion mills associated with Gosnell in Louisiana and Delaware into the spotlight. 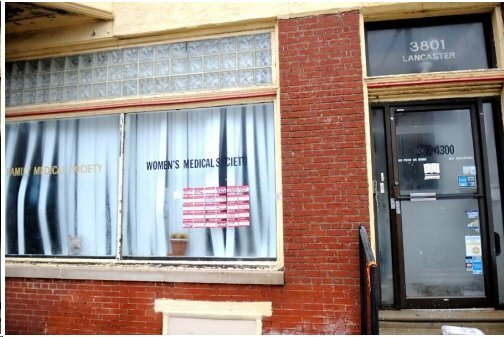 In an attempt to distance themselves from this back-alley butchery, pro-abortion activists suspended these two abortion mills from the National Abortion Federation. Hopefully, this unwanted attention will serve as an example so that other abortion mills across the country will also be investigated, held accountable and ultimately closed down. So far, only one abortion worker has testified against Gosnell. Six others are expected to testify within the next week. I can only imagine what other horrors will be revealed in the coming days. Please join with me in praying that justice will be served and Gosnell will be convicted for his gruesome crimes against humanity. You and I must make sure the abortion industry and pro-abortion mainstream media arent able to sweep these atrocities under the rug, so that the deaths of these babies and patient will stand for something and not be sacrificed in vain. P.S. On this Good Friday, let’s pray for all of those involved. Today were reminded that the sins of all mankind (including you and me) nailed our Savior to that cross. Pray that those guilty of these heinous acts will repent like the thief on the cross and that well someday see them in heaven. This entry was posted in 2013, Back-Alley Abortion, Kermit Gosnell, The Latest by Bradley Mattes. Bookmark the permalink.